Ricky qualified in 2002 from the University of Ulster, school of Physiotherapy gaining extensive experience working in Ireland and here in Devon. Ricky has held leadership roles within several Physiotherapy departments as well as Clinical specialist position with the Orthopaedic foot and ankle team at University Hospitals Plymouth NHS trust. 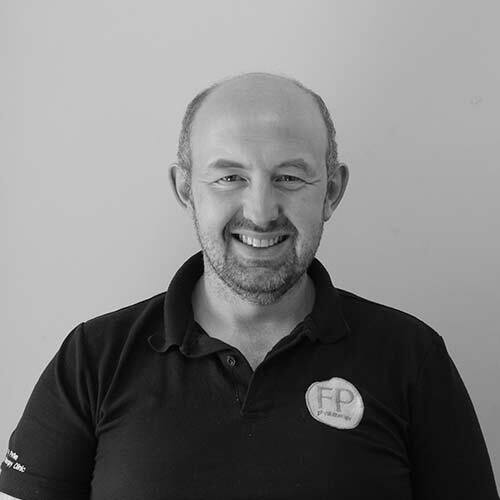 Ricky has a special interest in lower limb pathologies, especially around the foot and ankle as well as manual therapy, in particular, spinal manipulations. Ricky is an accredited member of the Acupuncture Association of Chartered Physiotherapists. Ricky has completed extensive post graduate courses including the Society of Orthopaedic medicine (Cyriax), Mckenzie mechanical diagnosis and treatment and Butler Neurological mobilisations. Ricky enjoys rugby and training in the gym.